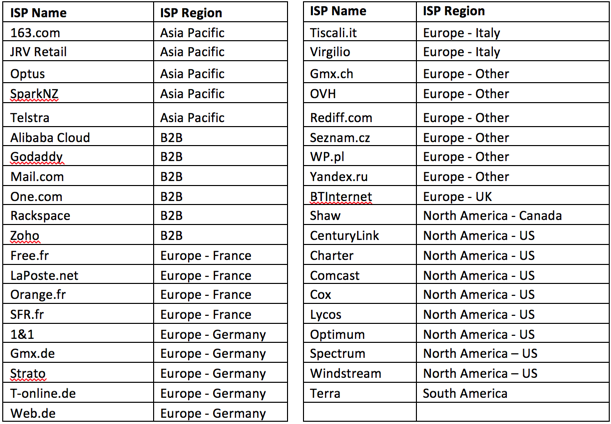 What ISPs are included by your Global ISP coverage? In late March we launched the first-ever consumer inbox deliverability monitoring for over 40 global ISPs! This groundbreaking advancement will allow you to monitor your inbox placement at some of the world's most prevalent ISPs and B2B providers across the world.